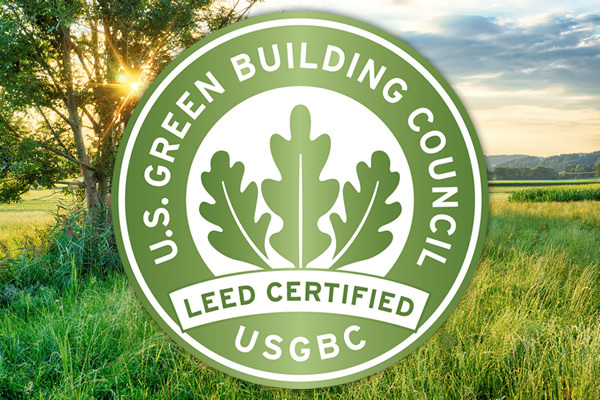 LEED certification, which stands for the Leadership in Energy and Environmental Design, began as an outgrowth of conversations held in 1993 that led to the establishment of the U.S. Green Building Council (USGBC) [http://www.usgbc.org/about/history]. The council was formed to promote the concept of sustainability in both the building and construction industry. The council worked to launch a certification standard for sustainable or green buildings (those that create minimal environmental impact) as well as establishing an accreditation standard for professionals adhering to LEED standards. As LEED has grown, it is increasingly important to understand what LEED certification is and how it differs from both LEED accreditation and credentialing. LEED began in 1998, although it was first conceived in 1993 by Robert K. Watson [http://environment-ecology.com/environment-and-architecture/81-the-leadership-in-energy-and-environmental-design-leed-.html] of the National Resources Defense Council. Since its inception, the program has grown to include over 14,000 projects worldwide in more than 30 countries and over 1 billion square feet of LEED certified development area. Companies such as Starbucks [http://www.mindbodygreen.com/0-22496/starbucks-just-reached-a-huge-milestone-and-its-something-we-all-can-get-behind.html], who has over 700 LEED certified stores, and Levi Stadium, the first venue to obtain LEED Gold certification [http://www.levisstadium.com/2014/07/stadium-becomes-first-us-venue-kind-earn-leed-gold-certification/], have become leaders in the principles of LEED and creating sustainable structures. LEED is a worldwide system recognized for rating the sustainability (“greenness”) of a structure. Buildings must follow a process of rigorous evaluation and documentation in order to obtain a LEED certification [http://lineshapespace.com/how-to-become-leed-certified-leed-credentials-for-architects/]. Certifications are given based on a point system for each of the levels: Certified; Silver; Gold; and Platinum. Certification is a process for buildings and differs from accreditation, a process ascribed to designers, architects, and other qualified professionals. According to a February 2015 press release of the USGBC [http://www.usgbc.org/articles/usgbc-releases-top-10-states-leed-green-building-capita-nation], Illinois, Colorado and Maryland rank 1-3 in per-capita square footage for LEED certified projects in 2014. Of the states listed in the top 10 (excluding the District of Columbia, which has the highest per-capita square footage for LEED certified projects at 29.44), California (Ranked #7) has the most LEED certified square footage at more than 69 million, and the most projects certified in 2014 at 517. Whereas certification deals with the qualifications of buildings and other structures to meet Certified, Silver, Gold or Platinum LEED status, accreditation deals with two specific designations, LEED Green Associate and LEED AP that are given to individuals. A LEED Green Associate is an individual who possesses an understanding of current green building principles and practices. LEED APs are specific to those professionals who work in any of the LEED certified rating systems (Building Design and Construction (BD+C), Interior Design and Construction (ID+C), Building Operations and Maintenance (O+M), Neighborhood Development (ND), and Homes). Individuals who meet the pre-requisite qualifications for either LEED Green Associate or LEED AP may obtain either designation through application, fee and examination. The formalization of LEED standards is a major step towards ensuring that our future homes and workplaces are sustainable and green. Do your part, and support businesses and organizations that inhabit LEED-certified structures. Andrew Armstrong is a clean technology enthusiast and sustainability advocate based in the San Francisco Bay Area. Follow him on Twitter [https://twitter.com/ckvango].